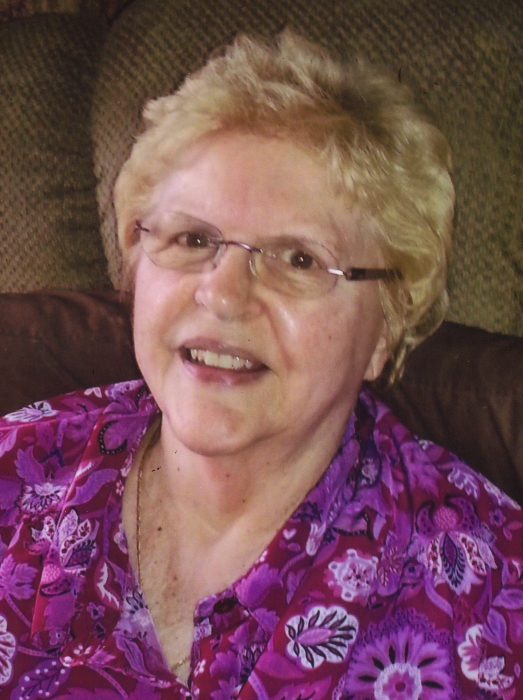 Janine R. Squadroni, 86, of Mishawaka, Indiana passed away on Thursday, January 17, 2019. Janine was born on February 23, 1932 in South Bend to Frank L. and Bernice (Maciejewski) Banicki. On August 26, 1950 she married Quinto J. Squadroni. She has been preceded in death by her parents; her guardians, Art and Blanche Dyruk; her sisters, Evelyn Carlson and Tessie Swartz; her brothers, Irvin, Eugene, and Frank Banicki; and her cousin, Louie (Theresa) Rengelski; and her niece, Jill O’Neill. 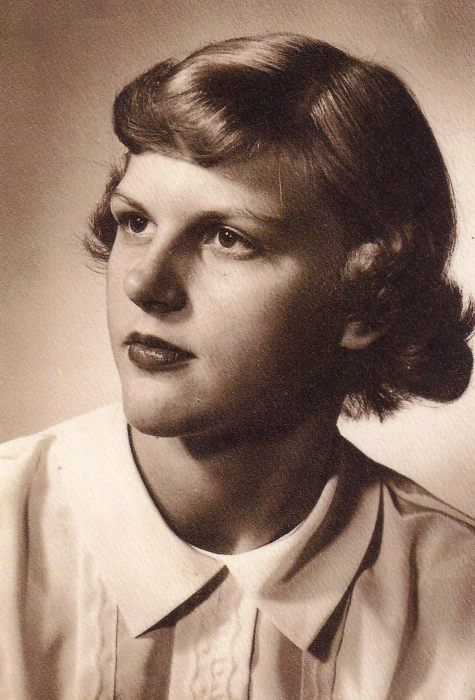 Janine graduated from Washington High School in 1950 where she was a member of the National Honor Society. She was a homemaker, and later worked at Marian High School, Morfam Industries, and was owner and cook for 22 years at Squads Second Precinct. Janine is survived by her husband of 68 years, her three sons, Bruce (Karen) Squadroni of Mishawaka, Joel (Minda) Squadroni of Buffalo, MN, and Randy (Deena) Squadroni of Mishawaka; (17) grandchildren, Kara (Jimmy) Bell, Nico (Katherine) Squadroni, Stephany ,Aaron (Sarah) Squadroni, Clinton (Carly) Squadroni, Carrisa Squadroni, Tessa (Brenton) Graves, Emily (Jose) Squadroni-Roman, Cody (Emily) Squadroni, Maria Squadroni, Jo Squadroni, Brianna Squadroni, and Quinto E. Squadroni; step-grandchildren Angie, Paige, Courtney and Scotty Warren. 21 great-grandchildren, Bailey Davis, Jessie Bell, Kassidy Bell, Layne Czuk, Leo Squadroni, Emma Squadroni, Piper Squadroni, Lorenzo Squadroni, Noah Squadroni, Gia Squadroni, Kaia Squadroni-Roman, Francesca Squadroni, and Roman Squadroni; and several wonderful nephews and nieces. The family wishes to thank the staff at Heartland Hospice, St. Joseph Hospital, and Holy Cross Rehabilitation Center for the loving care of Janine. Memorial contributions may be directed to Heartland Hospice. A Mass of Christian Burial will be held on Tuesday, January 22, 2019 at 11:00 a.m. in St. Bavo Catholic Church, 502 W 7th St, Mishawaka, IN 46544. Entombment will follow at Fairview Cemetery in Mishawaka, IN. Visitation will be held Monday, January 21, 2019 from 3 to 7 p.m. with a Rosary at 4 p.m. at Hahn Funeral Home, 505 W. 8th St., Mishawaka. Memorial contributions may be made to Heartland Hospice, 230 W. Catalpa Suite D, Mishawaka, IN 46545 or St. Bavo Catholic Church, 502 W. 7th Street, Mishawaka, IN 46544.